When it comes to retrofit projects for oil and gas companies, keeping workers as safe as possible should be a top priority. Sending surveyors into an existing facility for any extended period of time will certainly increase the possibility of serious injury or even death. In addition to the obvious human costs involved with unsafe working conditions, developers must also consider the disruption and high costs that a serious accident could cause. At the same time, government regulations for worker safety are growing more stringent all the time, and limiting the amount of time workers have to spend in existing facilities can play an important role in complying with those regulations. New surveying technology is key to making retrofit projects safer. With 3D laser scanning, also known as a terrestrial LiDAR scan, organizations can remove many of the issues that would otherwise require workers to enter a facility with unsafe conditions, while also gaining a better understanding of how safe a facility really is. Thanks to the speed at which a LiDAR scan can be completed, survey teams can spend a relatively small amount of time actually in the facility when compared to traditional surveying methods. Moreover, they can do so without compromising the quality of the data generated. 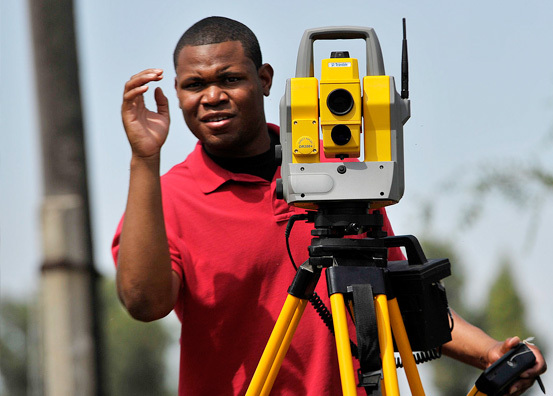 In addition, a LiDAR scan can be used to capture information from difficult to reach spots, without requiring the surveyor to physically access those spots. By allowing the worker to keep their feet planted firmly on the ground, and exit the facility as soon as possible, a developer can significantly decrease the chances that the worker will fall victim to a serious accident. If your company is attempting to retrofit a facility that has experienced a natural or manmade disaster, a LiDAR scan could be especially useful for you. In the wake of a disaster, it can be very difficult to know whether or not a facility is safe for workers to enter. Since the structural integrity of the site may have been severely damaged during the event, keeping workers out of the site is key to ensuring safety. Using a LiDAR scan can help you conduct the damage assessment work you need to do from outside the facility, thereby removing the need to put workers at risk. Your workers can use LiDAR scanning to conduct a thorough survey of the entire facility, including all of the damage from the event in question, without having to physically set foot inside the facility. When workers have to engage in “hot work” under hazardous field conditions–meaning welding, cutting and other such activities performed while in the facility itself–it creates the potential for life-threatening accidents to occur. Once again, a LiDAR scan can be used to help address a major safety issue in oil and gas retrofit projects by cutting down on the amount of hot work that workers have to perform. Using laser scanning can be an important method of dimensional control, which in turn can enable offsite fabrication methods. For example, a LiDAR scan can be used to determine the exact measurements required for a particular implement, that implement can be prepared in advance, allowing the worker to perform a simple bolt-up installation, rather than having to weld the piece on site. As a result, workers can spend significantly less time engaged in hot work in the facility, which can help provide a much safer experience overall. 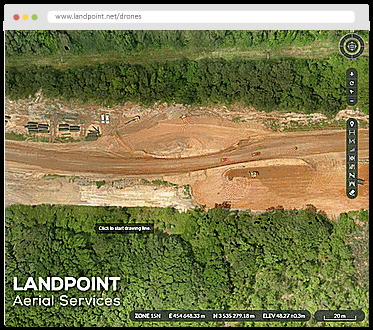 To learn more about LiDAR scanning for retrofit projects, contact Landpoint today. You can also review an example of our recent work to get a better idea of what we’re capable of.